Marketing is everywhere, surrounding us daily with a sensorial assault that's slowly become white noise. The public's ability to tune it all out has stymied advertisers, requiring more subtle means to push their brands to consumers. It's an elaborate game of buying and selling, with the average human powerless to stop the madness. Documentarian Morgan Spurlock? Well, he wants to contribute to the invasion in the name of satire. Or whatever Spurlock calls his toothless brand of filmmaking these days. 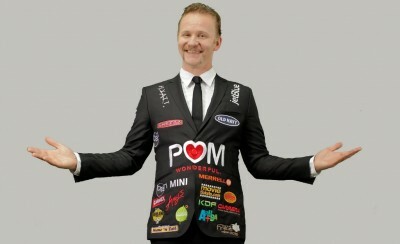 Spurlock's grand idea for the "Greatest Movie Ever Sold" is to produce a documentary about product placement in movies by accepting product placement in his own movie, funding his efforts through a list of enthusiastic corporate sponsors willing to "buy" the filmmaker and his ability to sell his "docbuster." The concept is ripe for exploration, with a brave cinematic visionary finally summoning the courage to expose the clumsy practice, decimating these business vultures with his razor wit and unforgiving lens. Unfortunately, the picture isn't eager to dissect the process of marketing. Instead, Spurlock elects to make himself part of the machine, offering up his artistic integrity to the highest bidder as a semi-science experiment, looking to reveal industry gears through practice. 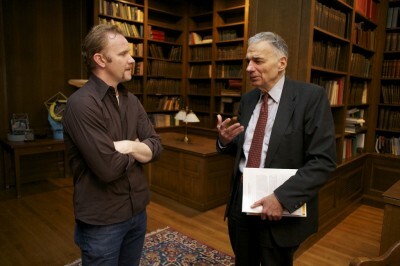 Spurlock, the director of "Where in the World is Osama Bin Laden?" and "Super Size Me," is a fast-talking personality who's made a dent in the documentary world with his sarcastic perspective, though much of his work often fails to grasp a larger, solidified point. "The Greatest Movie Ever Sold" furthers his efforts to wander about in a comedic stupor, armed with gimmicks not ideas, with limited wit and technical polish (the zoom-happy camerawork is atrocious) employed to see the argument through to the bitter end. Attacking product placement requires a finely tuned filmmaking instinct, someone ready and willing to slice open the industry and ruthlessly expose layers of planning and manipulation, exploring how the concept of "branding" has choked out a pastime that once seemed so innocent, or at least contained. Spurlock just isn't that guy, more content to make cheap jokes and summon halfhearted lampoon than drill into the darkness. Of course, if you share Spurlock's sense of humor, "Greatest Movie Ever Sold" serves up more travels with the handlebar-mustached one, following the star as he meets and greets corporate types and marketing gurus, hoping to land some coin for his picture. Interacting with pomegranate drink empires, gas station tycoons, and even a company selling a shampoo created for both humans and horses, Spurlock looks to pitch his way into sponsorship, with cameras capturing the discussions and bargaining required to stick a specific brand into a feature film. Oh, these industry types have demands and concerns, but they're usually amendable to the movie's cause, oddly excited to attach their name to a genre that typically sees some of the lowest box office grosses around. There's a flip side too, with Spurlock visiting a Florida school that's selling commercial space on property fences and bus interiors to make ends meet, and there's a trip to Sao Paulo, Brazil, a city that's outlawed all outdoor marketing (though they're fine with an enormous amount of graffiti). Spurlock even partakes in a medical experiment to see what effect marketing has on brain activity. What should be eye-opening stuff, inciting concern and possibly disgust, is left to wilt while the filmmaker spends the majority of the movie tending to the specifics of his scheme, even pausing the picture on multiple occasions to include a few contractually obligated commercials for his sponsors. Delicious irony or self-serving nonsense? You. make. the. call. "The Greatest Movie Ever Sold" truly believes it's submitting a profound statement on the advertising game, yet the commentary is flaccid and repetitive, laced with a pronounced smugness that erodes the whole enterprise. I wanted to learn everything about the marketing system from this film, to feel the grip it has on society. Instead, Spurlock gets lost in his own alleged cleverness, mistaking wearying self-promotion for satire. Buy tickets to "The Greatest Movie Ever Sold" now!